We specialize in providing our customers with engineered gearbox solutions. You can count on Cotta heavy duty pump drives to provide years of dependable and efficient performance in the harshest, most demanding conditions. Our hardworking, high-capacity pump drives are constructed with top quality materials and precision machining to offer you with the competitive edge you need to meet your most demanding of pumping challenges. They provide up to 3000 HP, and include extra-wide pump spacing to ensure easy maintenance. 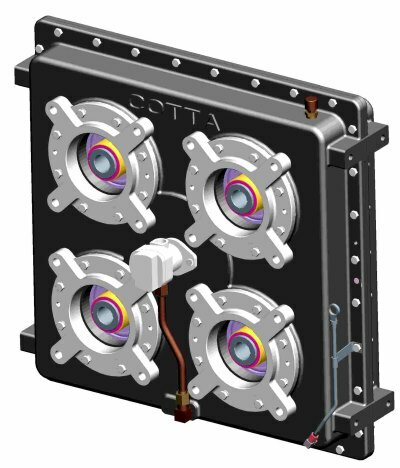 Our engineers here at Cotta have been designing heavy-duty pump drives for many decades, so we can offer hundreds of proprietary designs to best match your power equipment requirements. Some of our most popular pump drives are listed here below, but please contact Cotta for more information on other models that we offer or to discuss your specific application needs.